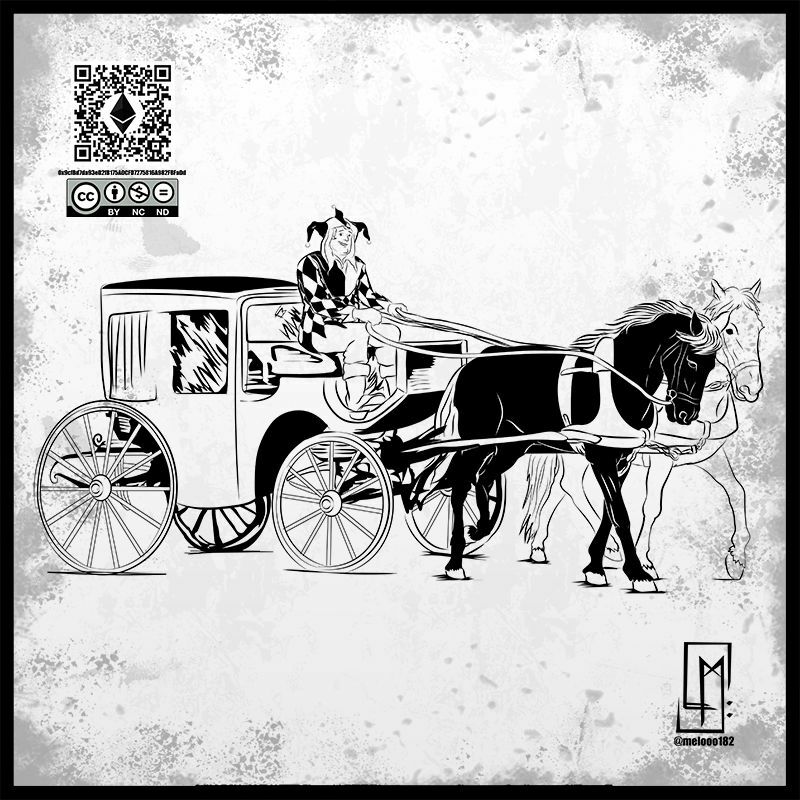 This was a commission for a client who wanted a Jester dressed in black & white while driving a carriage. He gave me some images files for inspiration and the only indication that the horse on the right of the driver had to be black. please let me know in the comments bellow ? ?